Revocation streams new album, ‘The Outer Ones’, via Noisey.Vice.com – alongside an exclusive interview with vocalist/guitarist Dave Davidson! 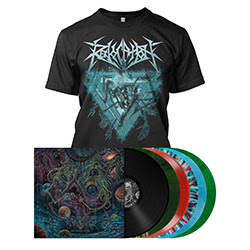 Revocation will release their new full-length, The Outer Ones, via Metal Blade Records today. For a preview of The Outer Ones, Noisey.Vice.com is streaming the record in full now at: https://noisey.vice.com/en_us/article/kz575x/revocation-are-searching-for-death-metals-outer-limits – alongside an exclusive interview with vocalist/guitarist Dave Davidson!